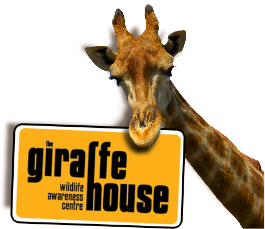 Most of the animals at Giraffe House form part of our wildlife education program. The giraffe, for instance, is the tallest land animal on earth, eland is the biggest antelope, the blue duiker the smallest antelope and ostrich the biggest bird. We are also proudly South African by having our national animal, the springbok and national bird, the blue crane bird forming part of our team.